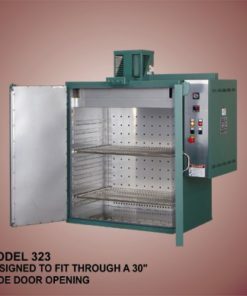 All Laboratory Bench Ovens offer the following standard features: fan-forced air circulation, aluminized interiors, Incoloy sheathed heating elements, high-density mineral wool insulation, adjustable shelves 36kg (80lb.) 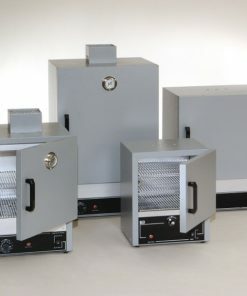 capacity, high/low heat switch, rapid run-up and recovery times, scratch-resistant powder coated finish. 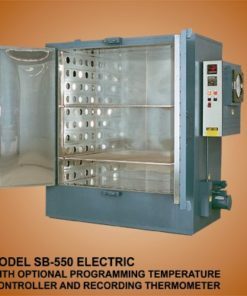 Application Lab Bench Ovens are perfect for preheating, thermal testing, self-batch processing, part drying, curing, drying soil aggregate and mineral samples, evaporating or dehydrating various media etc… Versatility Our selection includes three different sizes from 186L (6.6 cu. ft.) to 300L (10.6 cu. 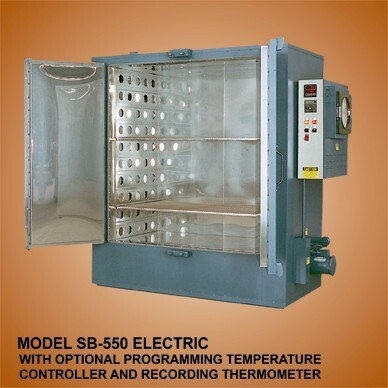 ft.), along with temperature ranges from 150ºC (300ºF) to 288°C (550°F), the affordability of analog control models, or the increased uniformity of the digital control models. The digital PID microprocessor provides ease of temperature setting, temperature tracking and ramp & soak capability, allowing for the most demanding applications. 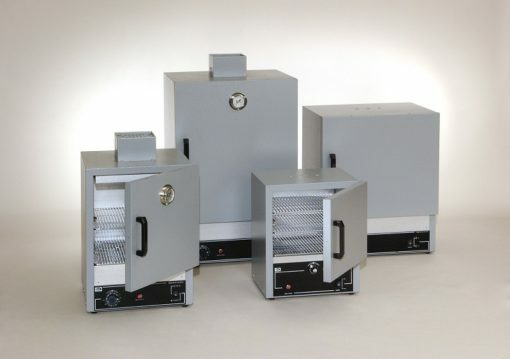 Digitally controlled ovens use a ‘J’-Type thermocouple and will hold set temperatures to within ±0.5°C, providing improved uniformity. 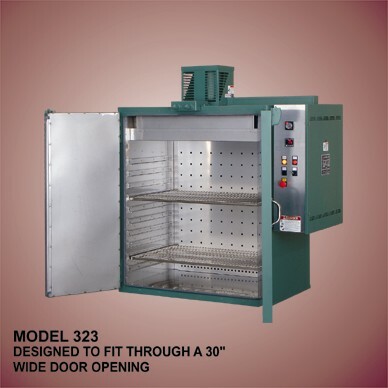 Optional Equipment We offer various optional items, including storage cabinet or stand designed to fit the oven footprint, high-limit analog or digital control backup (mandatory for CSA approval in Canada), timers, 25cm (10″) circular chart recorder, insulated door window, chamber light, and exhaust adaptor to connect to a 75mm (3″) vent. Optional CSA approval for Canada. All models are also available as 230V. 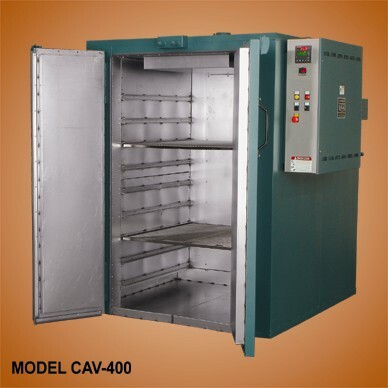 Capacity 20L to 85L, temperature up to 232ºC (450ºF), analog control or digital control with PID. 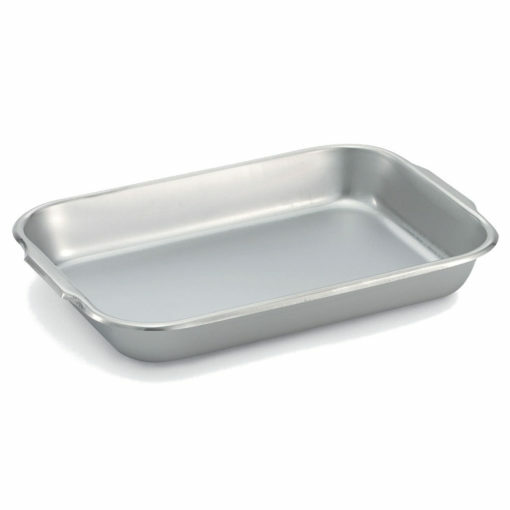 Low cost, high capacity 450 to 1000L (16 to 36 cu. 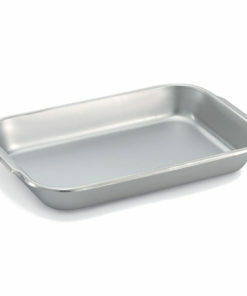 ft.) for shelf processing at temperatures to 204ºC (400°F). 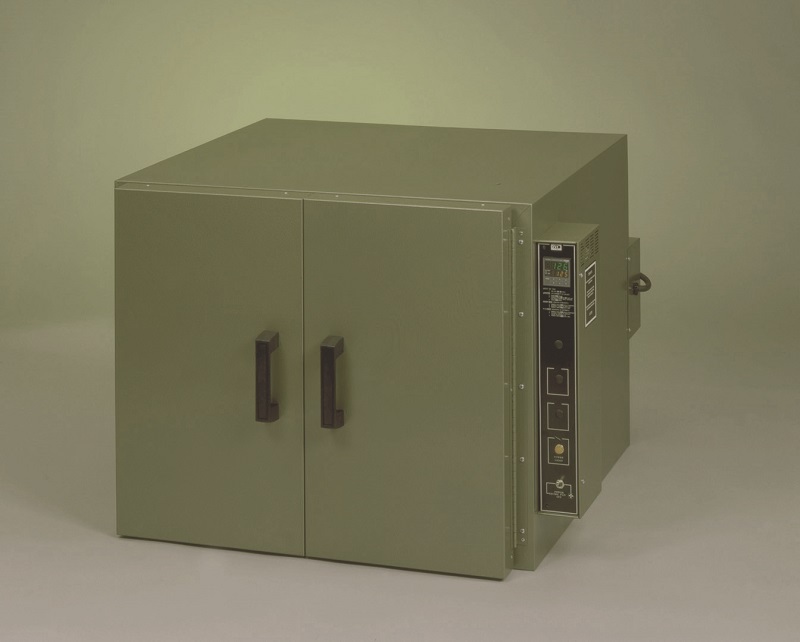 Compact, high capacity, 47 to 78 cu. 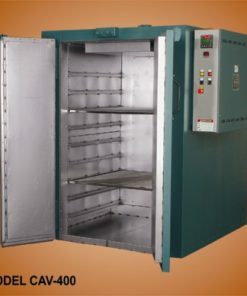 ft. (1300 to 2200L) Shelf Ovens for processing at temperatures of up to 550°F (288ºC).